Patrick O'Reilly is a Montreal-based poet and critic. Nevertheless, Pigeon won the 2010 Griffin Poetry Prize. And the Trillium Award. And the Pat Lowther. The reviewer, M. Travis Lane, likely remained unmoved. For nearly sixty years, from her headquarters in Fredericton, Lane has carved a niche as one of Canada’s most incisive and uncompromising critics. Armed with an encyclopedic knowledge of the western canon, she dissects poetry with elegance and authority. She has poked and probed Can Lit pioneers (Ralph Gustafson), contemporary darlings (Madhur Anand), and the occasional translated heavyweight (Tomas Tranströmer). Reading, Lane believes, is not just for poets, and poets should discourage such notions; poets should avoid too-personal trivialities. Poets are people who write poetry, no more, no less, and they have no mystic sensitivity the rest of us lack; poets should get more fresh air. Lane writes a kind of poetry that one almost never associates with post-modernity or experimentation: naturalistic, deliberately metred, “beautiful,” often religious, distinctly Maritime. verse, alliteration assists stress and colour patterns. Such critical insights could only belong to someone who knows poetry from the perspective of a reader and a writer. As her footnote suggests, Lane is a poet of uncommon precision. She has been at it since the 1960s, when Canadian women were just beginning to be recognized for their poetic efforts. A crucial part of the Lane legend is how, upon learning that women writers were not taught in University of New Brunswick classrooms, Lane tacked, Luther-like, a list of published Atlantic Canadian female poets to the door of every office in the English Department—her own name included. It would make a fine Heritage Minute. 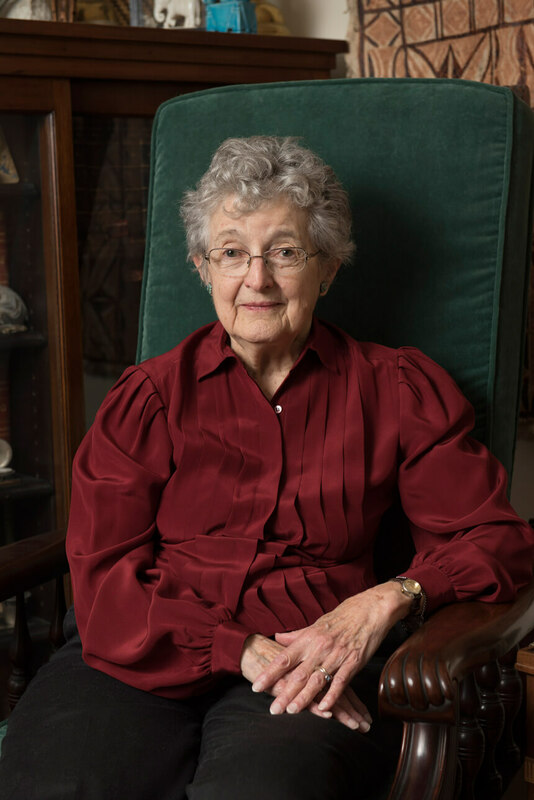 But despite her fifteen books of poetry, and her Lifetime Membership in the League of Canadian poets, recognition outside of the Maritimes has remained elusive. She has won no major national awards, is seldom anthologized. And while Lane has her admirers—Jeanette Lynes, for example, celebrates Lane’s “grounded, located textures . . .and frequent sense of urgency”—she doesn’t enjoy anywhere near the same status as Jan Zwicky, Don McKay, and Lorna Crozier. A recent string of releases might rectify this situation. 2016 saw the publication of two retrospectives: Lane’s collected long poems, The Witch of the Inner Wood, as well as a selection of her reviews and essays, Heart on Fist. These follow on the heels of 2015’s How Thought Feels, an anthology of essays on her work. All three books were edited by Shane Neilson, a native New Brunswick poet who hopes to secure a more prominent place for Lane in the national library. The primary reason for Lane’s obscurity, Neilson argues, is an anti-Maritime, pro-postmodern bias that takes hold when anthologies are compiled. In her essay “Contemporary Canadian Verse: The View From Here,” Lane downplays the role regionalism plays in Canadian poetry, but Neilson’s argument is persuasive. The fact remains that Lane writes a kind of poetry that one almost never associates with post-modernity or experimentation: naturalistic, deliberately metred, “beautiful,” often religious, distinctly Maritime. Lane herself makes these poetic values plain in essays and reviews: “sound is inextricably linked to the meaning of the poem,” “meaning of word and grammatical phrase are not irrelevant to artistic intention,” “emotion is not a matter of imagery alone; it is, in fact, primarily a matter of rhythm.” These are practical values, and they suffice for Lane’s poetry and for a persona skeptical of schools, -isms, and theory. They also demonstrate Lane’s process. Lane’s poems are often dependent on monosyllables and parsing lines, which leave grammatical units intact and imply an ever-so-brief pause at the end, giving each note an enormous amount of breathing room. Note the opening of “Sailor”: “The tides have untethered the marsh hen’s nest / from its spartina mooring post.” The line breaks in half after its first alliterative heave, as the proves too difficult to say after the rushed sibilant of untethered. The elision of marsh and hen is even more uncomfortable in the wake of so much fricative stuff: the reader takes another pause. In the second line the vowels brighten, but the sibilance, though softened, lingers. There is no untethering here, no cataclysmic breaking-up, but there is motion and disintegration, a slow recession of sound. Though the eye remains fixed on the nest drifting away, all we hear is the tide’s more active and enduring force. Lynes writes that Lane explores “civic space, domestic space, wilderness space, and interiorized psychic space.” That last category is crucial. Before Lane, no writer had successfully explored New Brunswick as a psychic space. Confederation poets Bliss Carman and Charles G. D. Roberts described New Brunswick’s landscape through a too-human lens, and later poets like Alden Nowlan gave (not always flattering) voice to the region’s working class. Lane recreates the ambient noise of New Brunswick. In “Spring Sours,” or “Road Ending,” Lane evokes specific scenes—forests and logging roads, tides and rivers that, at times, froth with chemical runoff. Lane’s precise observations of the province’s flora and fauna present an environment that is both familiar and alien. Neilson highlights the title poem of Lane’s collected long poems, “The Witch of the Inner Wood,” as a “masterwork,” in which nature is “a site of perpetual change that requires constructive interaction and management.” Images of cooking and gardening collide with images of rocks and trees and birds, all created by a woman reluctant, but ultimately obliged, to relinquish authority over her creations (“Stale pine cones, their white hearts nibbled out, / spread like shredded cabbages”). But to see the true breadth of Lane’s poetry, I recommend another long poem, this one set in the clutter of New Brunswick’s chief city, Saint John. “The Book of the Thrones,” the third book of the long poem “Divinations,” finds Lane expanding her stylistic repertoire to include epistolary prose and visual poetry. Inspired directly by the work of outsider artist James Hampton, an African-American janitor and preacher whose sculptures, built in secret and of scavenged materials, now reside in the Smithsonian American Art Museum, “The Book of the Thrones” finds Lane working, as she frequently does, in the ekphrastic genre. Ekphrastic poems—poems modeled after a work of art—can feel ancillary, dependent on separate, pre-existing works. “The Book of the Thrones” avoids that weakness by giving voice to a version of the artist himself. Lane’s proxy for Hampton is Pearl Fletcher, a dwarf and high school dropout employed as a janitor. Occupied with domestic work, restricted (physically, geographically, or socially) from an elite creative class, tirelessly pursuing her own artistic vision, it is inevitable that one reads Pearl as a proxy for Lane also. I found a rainbow in the wound. the small grow strong . . .
Pearl’s sculptures and poems appear as shaped poems which echo the shapes of Hampton’s sculptures. Even in these shaped poems, Lane enforces metrical control. Neither sound nor shape is sacrificed in the line “AND SHOW OURSELVES IN ANGELS GLOW BY THY REDEEMING GRACE.” A visual stand-in for the plinth of a lectern, the line remains forcefully iambic. In fact, many of Pearl’s poems rhyme—a pointed use, given Lane’s assertions that rhyme “interrupts” and “gives a sense of finish I rarely want.” To use rhyme, the most traditional and ornamental sonic tool, in her most visually adventurous writing is a kind of regressive innovation. Lane thrives in such contradictory conditions. She may not be a revolutionary, but she’s a virtuoso. Surely such humility stems from a career forged in a place that identifies itself, with both self-awareness and frustration, as “Canada’s Drive-Through Province.” While her most recent work, 2015’s Crossover, was shortlisted for the Governor General’s Award, celebrity continues to elude Lane. It’s not entirely clear that she wants it. She shrugs at most suggested reasons for her obscurity, refuses to bow to trends or make appeals on her own behalf (Neilson reveals she has never so much as applied for a writer’s grant). However much she deserves it, fame would sit oddly on a writer who has spent her career venerating technique over showmanship. As Neilson writes, “Lane’s work will find its way to readers, or not.” Consider this your introduction. As poetry becomes even less accessible to ordinary readers, is it time to let the art die?